There has been a real resurgence in the use of indoor plants the last couple of years. I am a little plant obsessed myself so thought I’d share my tips on plants and pots. I am by no means a plant expert; in fact I’m pretty much the opposite. I didn’t inherit my Mum’s green thumb unfortunately! 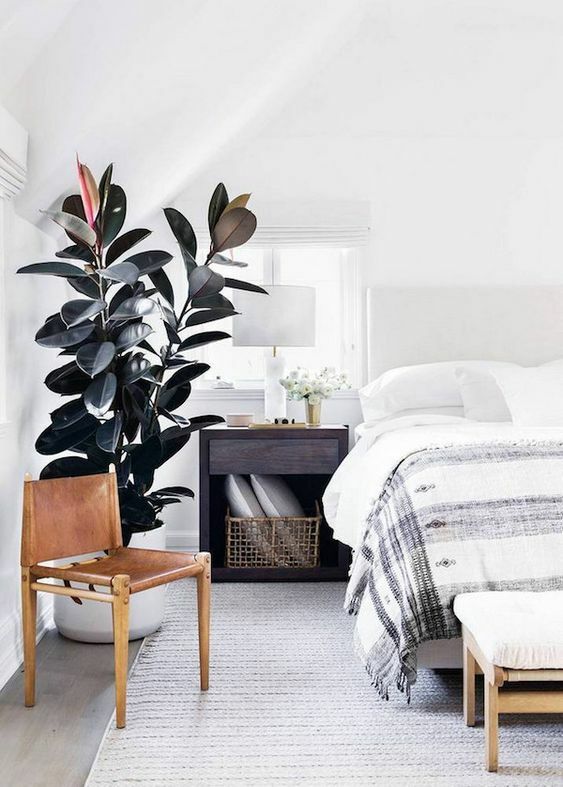 I love indoor plants for a number of reasons – they are great for your health purifying the air that we breathe indoors, they add greenery and bring a space to life, and they look good too. Here are my top tips including the plants I have in my home (and haven’t yet killed although that’s questionable! ), the pots and vessels I like to use and where to buy your plants (with some insider tips for local Adelaide peeps). Succulents. You can't go wrong with succulents! That said, I have been known to kill them but am now learning to water less and to “step away from the plant”. I was getting a little tired of buying succulents only for them to keep dying so I stole some cactus varieties from my Mum's garden and what do you know? The cactus love me! The succulent in the top photo loves this spot above our heater so I'm guessing it doesn't mind the heat or humidity. We were given a Devil's Ivy as a thank you from the agent that sold our home (I was thinking French Champagne but OK, a nice plant will do). Devil's Ivy seems to like and tolerate heat as it sits on a side table right next to a combustion heater in our small lounge room. It's beautiful, low maintenance and clears the air. What's not to love? I’m seriously waiting for it to die, but so far, so good! Mother in Laws Tongue. This is super easy to maintain, you literally have to do nothing. We have the normal variety and a dwarf variety. The dwarf variety don’t grow very tall obviously but seem to multiple by the day! We have this in pots all around our home (inside and out). Zanzibar. This plant thrives on neglect! It can tolerate really low level lighting (we have it at work and it literally sees no light and does really well). If you don't have a green thumb then this is the plant for you! It's hardy, only needs watering once a month and is impossible to kill. Rubber Plant. A member of the Ficus family this beauty has lush green/purple leaves and loves a little bit of fertiliser. I gave it a little Seasol and it flourished. Agave. This is a great plant and does exceptionally well outdoors with no up keep required (it doesn't like full sun in the middle of summer though). It will also multiple like a MO-FO! Cut the new plants off and re-pot them as it will keep growing new plants for you. You could also try the agave indoors as it’s quite hardy. Fiddle Leaf Fig. The popular kid of indoor plants. Don’t do what I did – accidentally leave it outside on a 40c day because yeah, good way to kill a fiddle leaf fig! I had to cut off some leaves but have managed to salvage it (I also rubbed coconut oil over all its leaves as a way of saying sorry but it didn't appear to do much!). It’s now in our bedroom where it gets filtered light…I see some new leaves coming through so I hope it has finally gotten over it’s horror summers day. One thing I’ve learnt is these guys don’t like to be moved. If you find a spot for it and it’s doing well don’t upset it’s routine, just leave it alone and take it outside once a week for a good water and bit of fertiliser. All the above plants require low maintenance – a weekly (or monthly) water and fertiliser every week to two weeks. If I notice a plant looking a bit sad I’ll give it some Seasol and allow it to sunbake outside in the sun for a little bit. Just remember to bring it back indoors (note to self)! 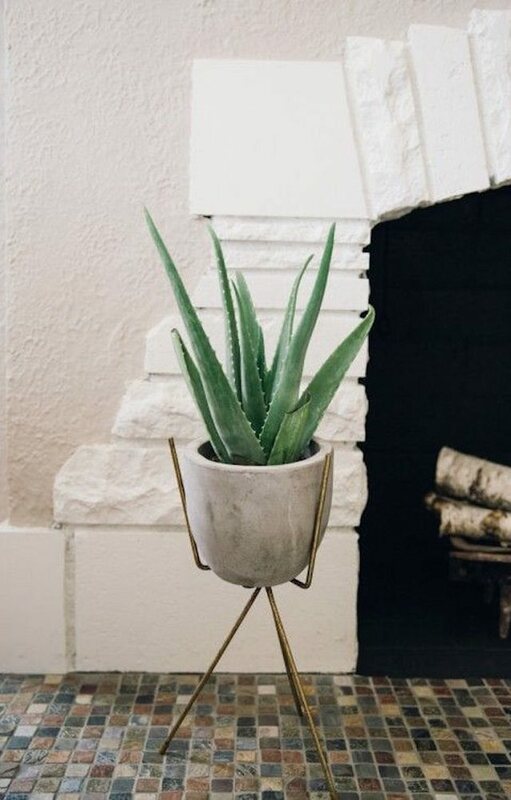 Use handmade ceramics for little succulents, they look minimal and beautiful. The little succulent shown here is from IKEA and is potted in an E Heid Ceramics vessel I bought at Bowerbird Design Market. Pop and Scott - the best pots on the market, with a great range of sizes, patterns and colours. Adelaide peeps - find these and a great range of plants at Home Supply. Ivy Muse - Best range of plant stands on the market in my opinion. I'll be saving up for one of these beauties (in the meantime, my $6 Kmart version will have to do). Uashmama - these guys make the best washable paper bags and are my favourite way for making a boring plastic pot look good. Just put the plant on top of a dish and place inside the paper bag. Take out of the bag to water (obviously) then place back in the bag. You could also use a seagrass basket or any number of baskets that IKEA sell. My succulent and Devil's Ivy currently alive and well, with my lovely roaring fire. Bunnings have a great range of pots. Sometimes you have to sift through to find the good looking ones and they have a great range of plants and succulents. My local Mitre 10 have a great range of fiddle leaf figs and they were affordably priced too. Potted Thoughts are a great local Adelaide business supplying gorgeous potted plants to Home Supply and Ettie Ink. Suci Potted Plants are another great Adelaide plant stockist, now at Shop 4, 89 Goodwood Rd, Goodwood. A hot tip for local Adelaide peeps. IKEA stocks a great range of indoor plants and they get in new deliveries every Friday so this is a great day to pop into the store!